If you have pergola questions about any aspect of construction, using climbing plants, accessories, or anything else for that matter, fire away! 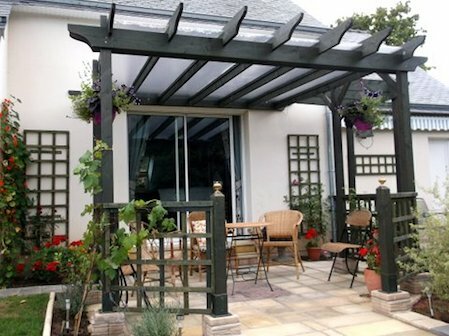 See what others have asked, and some of the fantastic pergolas they have built using the plans. Some have just needed a bit of practical help. Others have needed a full set of plans drawing up! Working together has always been a very rewarding process, whatever the case. Before filling in the form, take a look at the questions that other readers have asked below. You may well find your answer there. Asking questions is easy. Just fill in the form and I'll get back to you as soon as possible. Some people like to send a picture with their question to illustrate the point. This really helps, but isn't necessary. I may add one myself if it fits. I'll start off by answering a few simple question that readers have emailed. Then we'll look at more detailed questions about particular pergola designs. If you request an answer to a question, I will email you back with the answer and then put a link on this page so that as many readers can benefit from the advice. If you've had a quick scan through and can't find what you need to know, just fill in the 'Contact Form' above. All situations are different, and your question might be very particular to your situation, so if you feel you need to ask, don't be shy! 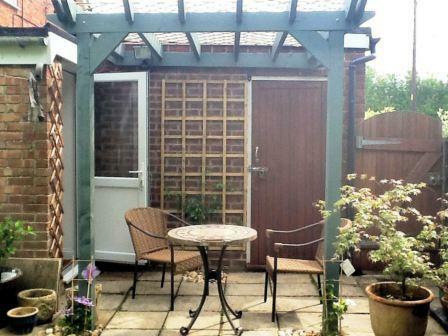 Is a pergola difficult to build? 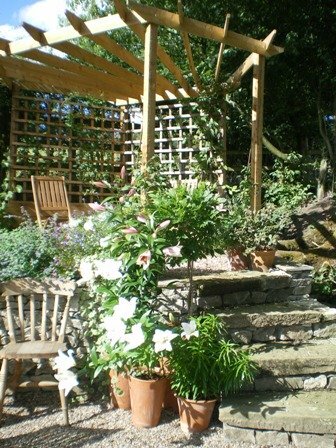 Even though a pergola looks quite elaborate, it is actually relatively easy to build. Readers are so proud of the structures they create. And I love to see the amazing things they have achieved! Make decisions before you begin, so that you know exactly what you're doing. Get all your tools and materials together, read the plans through as many times as you need to, so that you are clear about the processes, and then it should be very enjoyable to build. There are many ways to adapt the plans; from making a very simple structure to support a climbing plant or two, to a large canopy acting as an outdoor room! 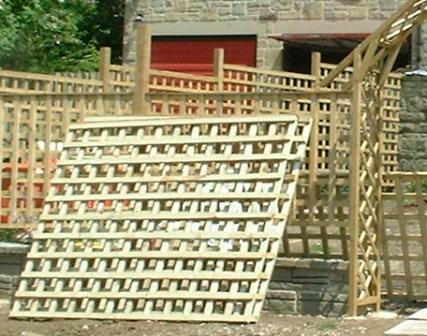 Be clear in your mind what it is you want from your pergola or arbour. All the information you need is given within either the links contained in the free plans, or in the information that comes with the additional plans. This includes adapting the plans, the tools and materials lists and the step-by-step plans for beginners, along with 18 rafter tail template designs as an added bonus! You can build these wonderful structures yourself, but, as with everything, it is so much easier if there's an extra pair of hands. How do I make sure that my pergola posts are exactly square on to one another? Hello, I am on a mission to find the best idea for sap prevention over my new BBQ/ outdoor area. I have a beautiful oak but drops sap and ruins all my furniture so I am putting in a pergola. Do you have any suggestions for a liner/cover that looks appealing and keeps sap away? You will need something that is a rigid surface that can be either washed with a long brush or sponge, or hosed off. A polycarbonate sheet over the top or between rafters would be the best thing. In the picture, you can see how Pam and Brian used separate sheets between the rafters. 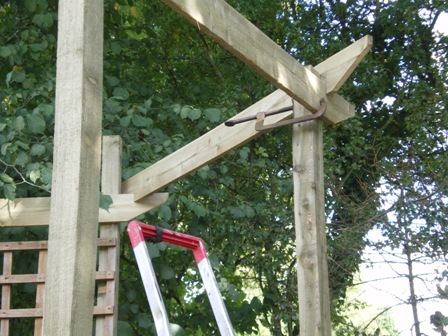 Building your pergola rafters to exactly fit the size of the sheeting is a very good idea. It then needs preferably a plastic beading length attached with a waterproof sealant to make sure the rainwater doesn't drip through. Kevin used a full size polycarbonate sheet on his patio pergola, seen on the previous picture. Make sure the sheeting has a slight fall to create run off. Downloaded the plans for a lean to pergola. The plan is for a 8 feet x 8 feet. I understand how to build it but I am not very good at maths. 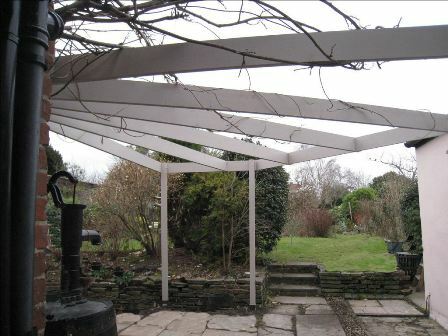 I am looking to build my lean to pergola at 9 feet x 9 feet and I can not work out how many cross beams I need. Can you help please? I'm assuming that the 9 ft is the distance from the outside of one post to the outside of the other. Let's convert 9ft into mm first, using a converter on the internet. The spaces between rafters are usually about 305mm to 457mm (12" - 18") apart. 2734mm divided by 8 = 342mm (looking good!) This is 13.5 inches. The distance between the centre of each rafter, from the outside of the posts, will be 342mm or 13.5"
Give me a quick reply (by replying to this email) James to let me know if you understand. Where do I find materials to build my pergola? Take a look here to find ideas on sourcing tools and materials. Is it possible to adapt the corner pergola plans to fit on the patio outside my house? Can I use the free step-by-step plans to make a romantic wedding bower? Can I make make my pergola rafter tail template fit an 8" or 10" deep rafter? Your question doesn't have to be about pergolas alone. It might be about arches, arbours, gazebos, pergola kits, how to incorporate a garden structure into your overall design...and so on, although quite a lot is covered in the website. Use the navigation bar on the left-hand side to read about the main subjects.